I love movies about music/musicians, and I had heard great things about the movie Once, but didn’t get around to seeing it until recently. It’s about a singer/songwriter who performs on the streets of Ireland while working in a vacuum cleaner repair shop by day. He meets a piano player and they collaborate to bring their musical aspirations to life. The storyline of artists struggling to develop their God-given talents pursue the dream in a world where the deck is stacked against them never gets old for me. It also brings to mind the reality of how committed one must be to overcome those odds. I once asked vocalist Irma Thomas, known as the “Soul Queen of New Orleans” what she did when times in the music business got tough. She stated simply, ” I went out and got a job.” Sometimes it’s that simple, but it’s never easy. The movie also avoids so many of the typical movie clichés, making it more real and believable. It’s magical in its understated simplicity. And the storyline mirrors the career of the musician who co-wrote the soundtrack and who played the lead role in the movie, Glen Hansard, who dropped out of school at age 13 to perform on the streets of Dublin and is now a successful songwriter and Academy award winner. So you say you love music. That’s great. But when time are tough, you must ask yourself, “How committed am I and what am I willing to do to overcome the obstacles in front of me? 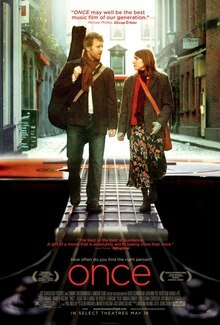 Here’s a performance of the Oscar-winning song “Falling Slowly” at the Sundance Film Festival. Link to Kevin Spacey interview with Chris Matthews. The King’s Speech…or the King’s Song? I saw the movie The King’s Speech this evening starring Colin Firth and Geoffrey Rush. 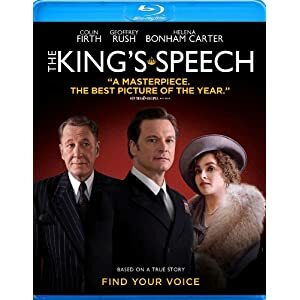 The film chronicles the plight of the United Kingdon’s King George VI who fought to overcome his stammering problem with the help of speech therapist Lionel Logue who would eventually become his friend, as he delivered some of the most important speeches that a leader could give during World War II. During their therapy sessions, Logue often encouraged the King to sing the words he was trying to speak, so that he would create a more flowing delivery. There’s an innate comfort that humans find in music that helps them relax and clear their minds. Logue made it clear that the King’s stammering problems had roots in his emotional issues of the past, though the King was reluctant to address them. Music helped him put aside those distractions and move forward. When I first saw the trailer for the movie, I thought it might be a great movie for my son to see. He’s at the age (13) where he’s getting a bit apprehensive about giving presentations in class and addressing groups. To my surprise, I learned that the movie was rated R. After researching the cause for the rating, I learned that it came solely from profanity – Logue tried to demonstrate that when you speak passionately you forget about the stammering and focus on communicating your emotions. There have been discussions regarding the release of an edited version that would change the rating. The topic of the movie ratings system and how movies are evaluated is a broad one, but I would simply say that if you believe that your child will benefit from the message and can handle a couple of outbursts of foul language, I wouldn’t be too concerned with what was otherwise a very acceptable film for all ages. We had a similar experience with another film a few years ago called Freedom Writers (PG-13). In the movie Hilary Swank portrays a young school teachers who touches the lives of inner city kids by exposing them to The Diary of Anne Frank and the power of using the written word to share your ideas to inspire others. We felt as though the message was a great one and we also felt as though it is important for our son to understand that there are children and families who deal with circumstances that can be more challenging and frightening than he and his friends might experience. We simply told him prior to the movie that there were words used in the film to make it more realistic that were not appropriate for him to use. He said, “I know, Dad,” and that was that. Another movie I’d recommend. We featured a lecture by Frank Battisti here before, but I urge you to watch the video below. In this brief panel discussion, he reiterates many of the points (benefits of music education and the role of the music education program) we’ve made here before, yet he does it more articulately, succinctly, and thoroughly than any speaker that I can recall. In a previous post, we discussed the lesson of passion in music education, one of the 9 common lessons of music education that translate into success. In this video at the TED website, Benjamin Zander demonstrates his love for classical music about as passionately as anyone I’ve ever seen. As a musician, I’ve always been fascinated by the idea that long after we perish the earth, someone somewhere could be listening to and inspired or moved by the work we’ve left behind. I suppose that’s one of the motivating forces behind most artists’ work – the need to have an impact, to be relevant, and to be remembered – to have a legacy in our life’s work. But can you define your legacy? 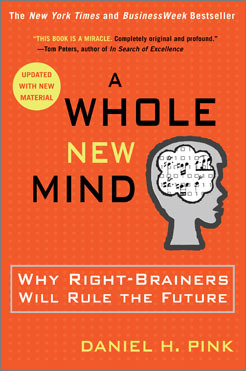 That’s was author/speaker Dan Pink (author of A Whole New Mind: Why Right Brainers Will Rule to Future) is asking people to do. At his website, he has posted videos from all over the world of people articulating their sentence – The exercise asks you to distill your life — what it’s about, why you’re here — into a single sentence. Why do you choose to be an artist?…and What’s Your Sentence? 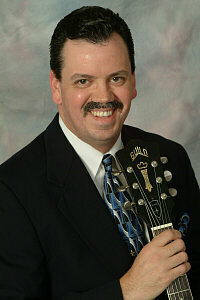 You may not know the name Sam Spence, but I’d bet you know his music. Spence has written over 700 songs for NFL Films, and if you’ve ever seen highlight reels of NFL football games from 1966-2001, you’ve heard his music. When I was a boy, there was a weekly syndicated show called NFL Game of the Week. NFL Films would pick the best game of the previous week of football (hence the name), and compile a 30 minute compilation narrated by the legendary voice of the early days of NFL Films, John Facenda. If you watch Chris Berman on ESPN, he often channels the voice of Facenda as a tribute when he begins his own recap of the week’s games. 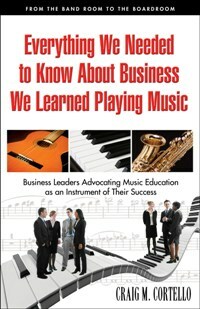 In my book, Everything We Needed to Know About Business, We Learned Playing Music, I articulated that the greatest benefit of arts education is that the participants develop tools of introspection. There is nothing more important in education than to give children the ability to look inside of themselves and to determine their special gifts and unique calling in life (more on this thought in tomorrow’s blog post). In this video that is a follow-up to a previous lecture posted here, the brilliant Sir Ken Robinson discusses the personalization of education and the need for an education revolution. Everyone who cares about education should view this video! 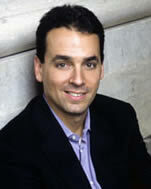 Continuing with our series of audio excerpts from the interviews conducted in the research for my book Everything We Needed to Know About Business, We Learned Playing Music: Dean Deyo, President of the Memphis Music Foundation & Retired Division CEO/President of Time Warner Corporation discusses the role that music had on developing his communication, poise, confidence, and public speaking abilities needed to succeed in business.